NEW DELHI: The meek may inherit the earth, but if they are in Delhi, they can't get their 'illegal' colonies regularised by the government - unless an Assembly election comes around. 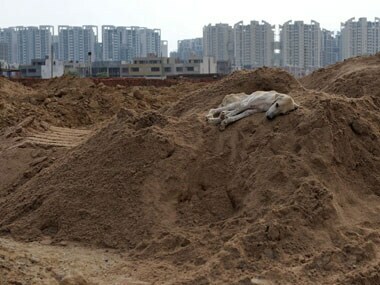 As Exhibit A, we cite the case of the residents of Pandav Nagar in East Delhi. 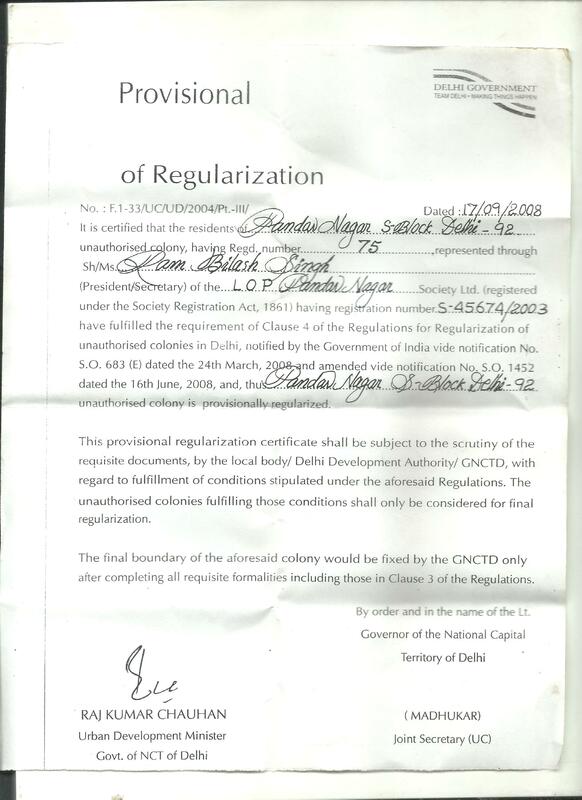 In 2008, ahead of the Assembly elections, the Congress government headed by Sheila Dikshit issued 'certificates of provisional regularisation' to 1,200 unauthorised colonies, including Pandav Nagar. It promised to render the colonies 'legal' if the government was returned to power for a third time. The government was re-elected, but the promise it made to residents of Pandav Nagar and the other "provisionally regularised colonies" went unkept. Fast forward to today. Assembly elections are due again in November 2013, and the same old tired promise is being dusted up. The Sheila Dikshit government, and the Delhi Development Authority (which functions under the Union Urban Development Ministry headed by Kamal Nath) are stirring to life again. Kamal Nath recently announced the regularisation of 917 of the 1,200 colonies, with the promise to consider regularising more of them. He justified his action with an air of resigned acceptance of a harsh reality. "They should not have been there, but they are there for the past 30 to 40 years. What is the other solution?" he told The Economic Times." We will find a solution. If necessary, we will go to the court and seek directions," he added. 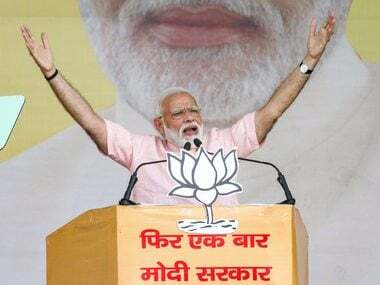 The Bharatiya Janta Party (BJP) alleges foul play in the regularisation of these unauthorised colonies, but cannot openly challenge the process for fear of antagonising voters. Instead, it claims that the regularisation of 917 colonies is "a farce", and points to "large-scale corruption" in the name of development work in the unauthorised colonies. Residents in the S Block of Pandav Nagar, one of the colonies marked for regularisation, wonder how their life will be changed by the development. Ram Niwas, 54, a local businessman who runs a plastic store, is cautiously optimistic about the outcome. 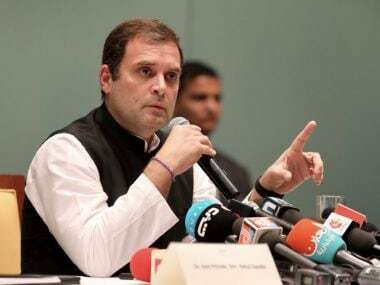 "If our colony is regularised, it will come under the purview of the government and we will hopefully have better facilities," he told Firstpost. "But until there is actually some benefit, we can only hope." Niwas, who has lived in Pandav Nagar for 35 years, says that while there has been overall improvement in the area over the years, basic infrastructure is still the pits. There are times when the colony's residents don't get water for days on end. "These problems are like a plague that never goes away. It happens so often that it's become part of our daily life," Niwas laments. "When we complain, we're told that we should be grateful for what we get." Sukhwinder Kaur, a 56-year-old housewife, who has lived in the area for 20 years, has more such complaints. "Nobody does anything for us; we do everything ourselves - from cleaning the drains, to keeping the roads outside our homes and shops clean or securing water when there's no supply," she says. "At election time, all the politicians come begging for votes, but when we go back to them after elections, they're hard to get." Others like brothers Yograj (45) and Rishipal (55) are borderline cynical about whether regularisation will help them deal with "corrupt" officials. "The Municipal Corporation of Delhi (MCD) trucks are never seen in the area when there's garbage to be picked up," says Yograj. "But if you're building a house and are near completion, they will show up repeatedly and threaten to demolish it unless you bribe them." In his reckoning, it's a racket in which everyone from the MCD officials to the police to the politician are all in on the take. Rishipal is no less jaded. "The authorities don't do their duty - like clearing garbage or fumigating for mosquitoes or building proper roads or sanitation. But if they sense an opportunity to extract money, they are very prompt. If anyone resists paying up, they cause double the trouble," Rishipal says. The brothers feel that even with regularisation of their colony, nothing will change. It's a deeply cyical view born of their lived experience. "We have to pay each authority a bribe for the smallest of things - sometimes just to keep authorities off our backs," says Yograj. Rishipal chimes in: "Even if our colony does get regularised, the authorities will only make more money - off our bribes and off the money siphoned from the state's funds meant for the area's development." Local BJP representative Govind Agarwal (45), a tax accountant, refutes the charge that his party opposes regularisation of the colonies. 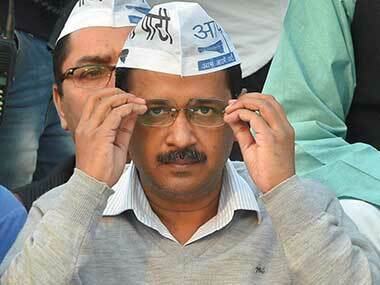 "Nobody is against regularisation," he told Firstpost. "But the Congress should be serious about it. 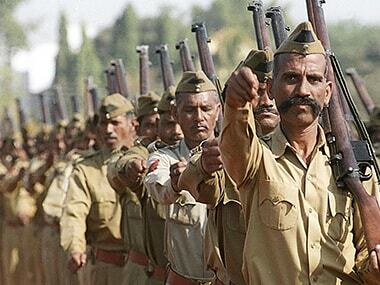 This announcement has come only because of the Assembly elections next year and the general elections due in 2014." Agrawal, whose own house is undergoing renovation, points to absurdity of the fact that even the provisional certificate of regularisation offered to the S- Block Pandav Nagar Residents' Welfare Organisation is not duly signed. The certificate, given ahead of the 2008 elections, was signed only by Raj Kumar Chauhan, the then minister for PWD & Urban Development. However, the document bears no signature from or on behalf of the Leiutenant Governor of the National Capital Territory of Delhi. Agarwal accuses the Sheila Dikshit government of playing to the gallery with an eye on the elections. "They should have regularised these colonies long ago. In this colony, we have electricity, water and houses. Why then are we unauthorised?" But analysts say that missing signatures on documents may be the least of the residents' problems. Even after regularisation, the ground reality in that these colonies are unlikely to change in respect of issues like individual homeowners rights, infrastructure and layout plans. The PCRs have been given to the colonies' Resident Welfare Associations. The residents of these colonies will still have to await the declaration of their ownership rights, which will grant them the legal right to buy, sell and register their properties, or carry out construction work at these sites. "It's only colonies, not individual houses, that have been given a legal tag," says Santhosh Kumar, CEO-Operations, Jones Lang LaSalle India. "Every house owner residing in one of the unauthorised colonies will have to apply to the respective corporation for getting the property registered. People will have to get their building plans approved from the civic agency." Kumar also says that considering that most of the houses in these colonies are builder flats built on a single plot, there is also an issue of multi-ownership attached to them. For now, since there is no policy under which such owners can apply to have their houses regularised, a new policy will have to be framed by the civic agencies and DDA. The MCD will also have to prepare the layout plans to provide basic facilities and infrastructure..
Regularisation also does not guarantee infrastructure facilities, as the residents in Pandav Nagar are rightly sceptical about. Many colonies that were regularised as far back as in 1977 are still in poor shape, with no hint of basic infrastructure such as sewage, parks, dispensaries and street lights. Without the Government ensuring that all of these issues are addressed, the move for regularisation of illegal colonies may just have no meaning.